When the trailer for “Bohemian Rhapsody” released, reactions were mixed. Many were ecstatic that the legendary British rock group Queen were getting a film. Others, however, voiced criticism that front-man Freddie Mercury didn’t seem to be depicted accurately. 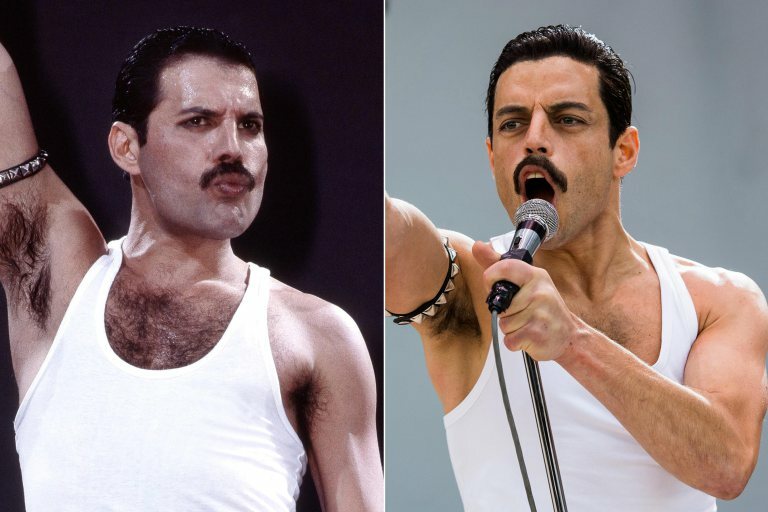 The influence of Freddie Mercury is undeniable. Born in 1946 as Farrokh Bulsara, Mercury was a legendary singer and songwriter. Famous for his renowned vocals, flamboyance, and charisma onstage, he possessed a sort of magnetism that captured his audiences entirely. Queen is largely known for their rock anthems. With classics like “Another One Bites the Dust,” “We Will Rock You,” “We Are The Champions,” and of course, the six-minute epic “Bohemian Rhapsody”, most people are probably Queens fans, even if they don’t know it. With that legacy in mind, the creators of the film were undoubtedly Under a lot of Pressure from fans and film critics alike to do the band justice. What many were concerned about was the portrayal of Freddie’s sexuality. Freddie, though he never aligned himself with any LGBT movements during his lifetime, was queer and spent the last years of his life with his boyfriend, Jim Hutton. Many feared that the movie would try to ignore this. But I wasn’t really worried. After all, it’s 2018 – no director or production company would risk the backlash of straight-washing a queer story. So I went to see the movie, and before I get into my problems with it, it must be said that there is a lot to like. Rami Malek, who received critical acclaim for his performance as the recluse hacker Elliot Alderson in the Golden Globe winning T.V. show Mr. Robot, embodies Freddie, his vibrant energy, wonderfully. Malek has also demonstrated in interviews a deep conviction to his role, and his dedication really transfers to the big screen. Also to love are the costume designs and performance recreations, the witty one-liners, and of course, the music. “Bohemian Rhapsody” succeeds in portraying Freddie Mercury as a man destined for greatness The problem arises, however, when the film sacrifices truth in favor of narrative. In the movie, Freddie finds out that he has AIDS before Live Aid. Live Aid, a 1985 benefit concert for the famine in Ethiopia, featured the likes of David Bowie, Elton John, Paul McCartney, Led Zeppelin, and of course, Queen. With a broadcast audience of 1.9 billion, it was one of the most iconic moments in music history. Freddie performing at such an event with his condition raises tension for the film. However, according to Freddie’s partner, he was diagnosed in 1987, two years after Live Aid. While there was speculation about Freddie’s condition, there is no record to contradict that he was diagnosed prior to 1987 – meaning that Freddie didn’t even know about his sickness during Live Aid. So why does the story play out this way? Evidently, things were changed to create a more appealing story. But if it sells, why is this a problem? Well, because it trivializes Freddie’s life and sickness. The movie makes AIDS a consequence of Freddie’s “wild” lifestyle, as opposed to the family-oriented lives of his (straight) band-mates, who throughout the film become one-dimensional characters criticizing his lifestyle. Which, frankly, has some horrible implications. AIDS becomes a mechanism to add weight to the story. It is part of the “bad” side of Freddie – the clubs, the parties, and the sexual deviancy – and his final “fight” against this part of himself manifests in Live Aid. By returning to the band for a good cause, and not letting his illness hinder his performance, Freddie can do something redeeming. But in real life, there is nothing thematic about death and disease. Freddie’s being sick was something he kept from public eye – his loved ones were asked to keep it a secret and he retreated from all forms of publicity. So showcasing his disease in such a way, misconstruing it to fit a Hollywood narrative, is incredibly inauthentic and inconsiderate to the man who actually died – the same man who gets no say in how his story is told. While this film may be a fun watch on it’s own, it reaches only the bare-minimum of Queen’s story. It lacks depth, nuance, and understanding of the life Freddie and his band mates led. Freddie Mercury is a legend. But as exciting as it is, “Bohemian Rhapsody” is not the ideal to become acquainted with his legacy.